This digital title provides 100% coverage of the Western Australian curriculum for Humanities and Social Sciences. 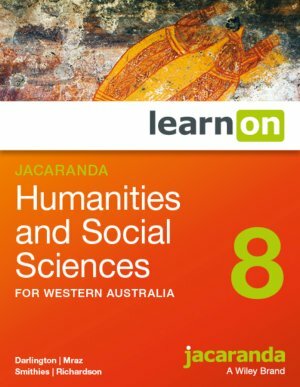 To complement the Humanities and Social Science series for the Geography section Jacaranda Atlas 9e and MyWorld Atlas (digital), and for the History section Jacaranda World History Atlas and MyWorld History Atlas (digital) is available for Years 7-10. Topic 3: Where do our laws come from? Topic 14 Fieldwork inquiry: How does a waterway change from source to sea?